One of the first steps in designing an effective property marketing campaign is to analyze how buyers typically find the homes they purchase. It only makes sense to focus on those media and those efforts that grab the most eyeballs, generate the biggest response and create the greatest sense of urgency to see your home quickly—and write clean, strong offers. 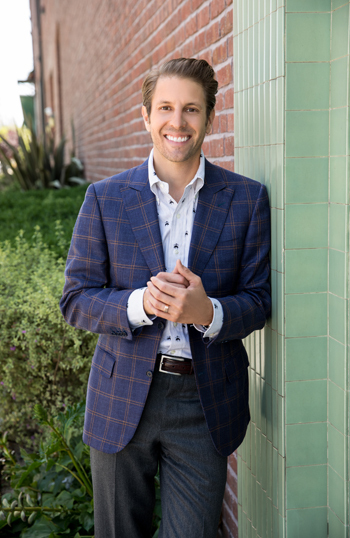 Ideally, one wants to orchestrate a multiple-offer scenario where motivated buyers compete with one another to buy your home—it is that situation or the perceived threat of that situation which generates the highest possible sales price. 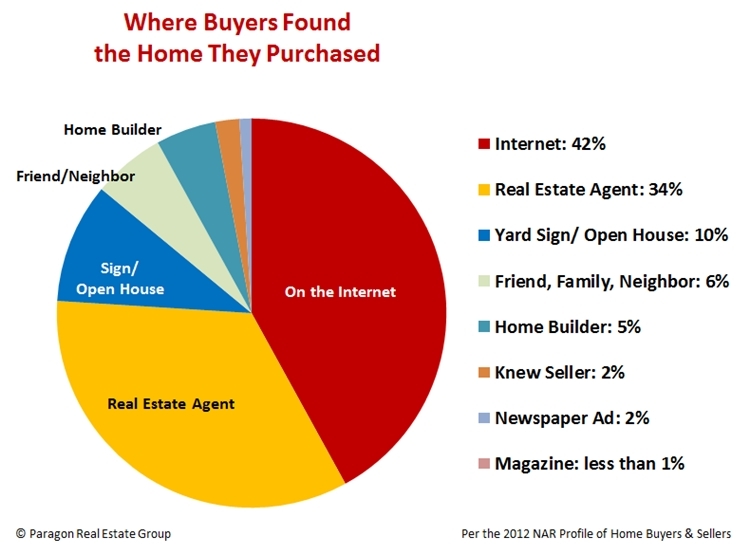 Based on the chart below, it’s clear that the effort and money should go into comprehensive online marketing, including buying premier placement on the major real estate websites; on broker to broker marketing efforts, because a large percentage of buyers are still steered to listings by their agents; on open house advertising and presentation materials; and on efforts to reach the neighbors, which often includes a direct mail campaign. As a foundation to these efforts, money is also well spent on preparing the home to show at its absolute best and on professional photography—since most buyers and agents will first see and evaluate the property through its photographs. Pre-marketing inspection reports can also be a smart investment. And it always makes sense to give thought to the buyer profile for your home—to whom will your property most appeal, and who is likely to pay the highest amount of money for it—as this can help tailor the home preparation efforts and marketing campaign to maximum effect. The quality of the agent working on your behalf, his or her competence, integrity, work ethic, willingness to spend money on effective marketing, and commitment to your interests can make an enormous difference in the outcome of the sale of your home.